The most outstanding structure in the old city is the Alcázar, a palace built for Columbus’s son, Diego, and his wife, who was also niece to Ferdinand, king of Spain. 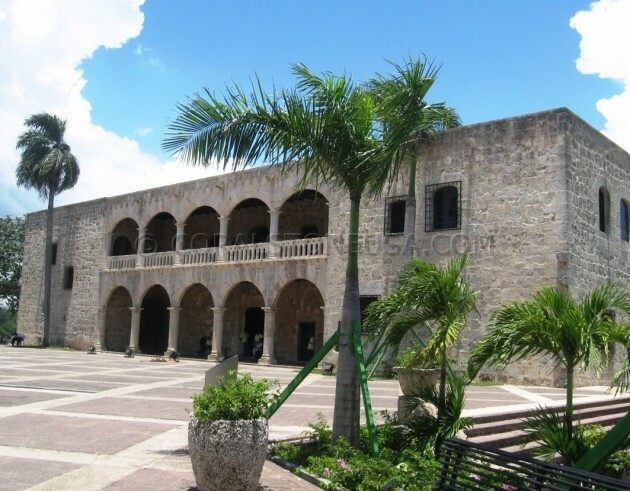 Diego became the colony’s governor in 1509, and Santo Domingo, Dominican Republic rose as the hub of Spanish commerce and culture in America. For more than 60 years, this coral stone limestone structure on the bluffs of the Ozama River was the center of the Spanish court, entertaining such distinguished visitors as Cortés, Ponce de León, and Balboa.